You need to harness talent and develop your people quickly. You need individuals and teams performing at their best, and you need to find those “perfect fit” new hires. Your organization’s success depends on alignment of your people strategy with business goals. We help you chart the path with the most innovative people practices that drive real value to your bottom line. With our help you can strengthen your leadership team, address capability gaps, and define where the talent risks are as you build on today and develop the next chapter for tomorrow. Getting business right is getting culture right. Your company can’t thrive without highly talented people who do what they do best in a vibrant and supportive work environment. We can help you get there. Basic or brilliant? How does your organization measure up? 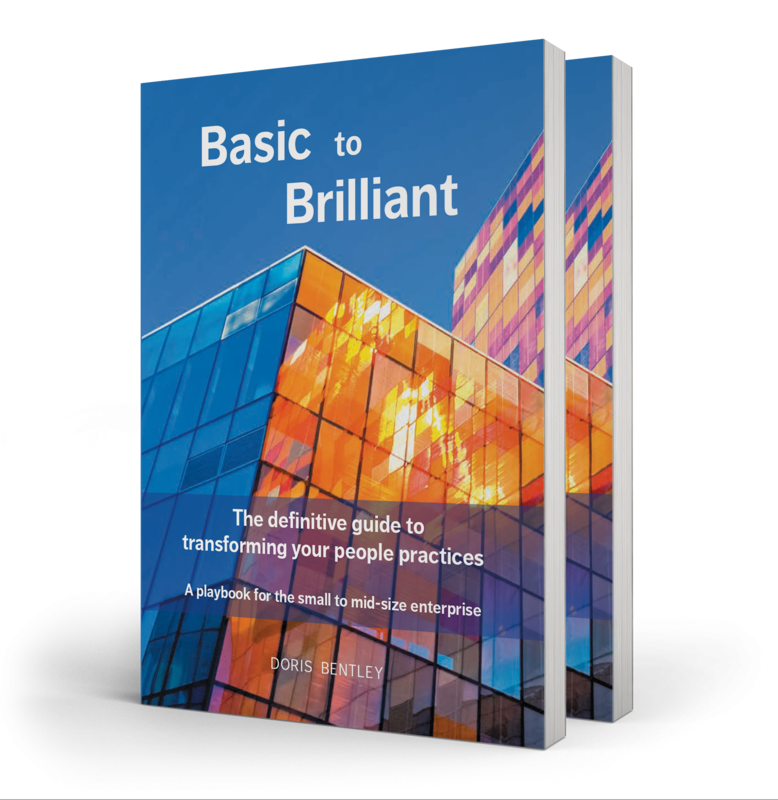 Basic to Brilliant helps small to mid-size enterprises transform into more productive and viable businesses that retain top talent. This one-of-a-kind playbook gives leaders the edge they need to remove barriers to innovation and business growth by reimagining the way they attract, hire, develop and reward great people. Based on the author’s more than two decades experience working with hundreds of business owners and leaders of small to mid-market companies, it offers an easy to read roadmap for contemporary people practices, from organizational design through recruitment, onboarding, learning and development to total rewards. With a focus on transformation, it provides checklists for assessing the basics and accelerating to brilliance. Practical examples and success stories from select BC companies demonstrate how talent innovation and brilliance can truly shine. It’s now available at all major online retailers and in e-book format. More details are available at the book website: www.basictobrilliant.ca. Your Amazon reviews are welcome!